We provide each client with a responsive, results-oriented legal service that addresses identified objectives. We deliver utmost quality by combining the individually tailored service of a boutique firm with the comprehensive knowledge base of our intentionally specialized legal team. Our Corporate and Commercial Law practice has expanded to include not only business formations and transactions, but also real estate and employment matters. These in turn, have led us to our distinguished practice in Labor and Employment Law and Immigration Law. Our specialized Intellectual Property Law practice was also among the first in the Philippines. Since then, we have developed related expertise in licensing and franchising, all in an effort to help our clients use their IP assets in an evolving marketplace. 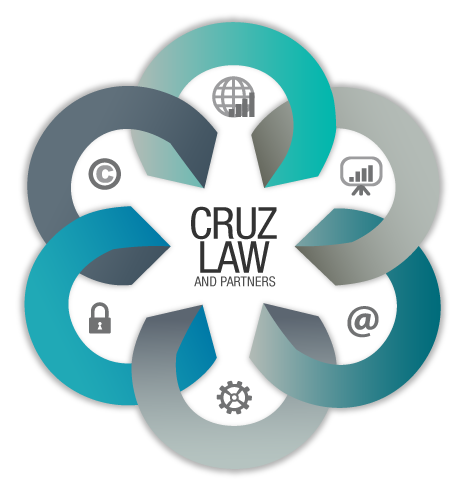 A pioneer in intellectual property (IP) law practice in the Philippines, Cesar C. Cruz & Partners, bring both depth and breadth of experience to safeguarding your information, know-how and processes. We counsel you on the strategies and practices for managing your intellectual property that are consistent with your business plans. We also provide you with assistance on matters concerning regulatory approvals, licensing and franchising. Assessing risk and estimating the likelihood of success is part of what we do in this practice, as well as litigate ex parte and inter partes actions in the Intellectual Property Office and in the courts. We have the technical acumen and enforcement reach in different industries and technologies: pharmaceutical, health care and medical equipment; software, information technology and electronics; and services and consumer products. In greater detail, these are some of the IP-related services we can provide you, our clients. In evaluating all possibilities for IP protection, design protection may be an attractive option because of the procedures that allow registration for up to 15 years. Industrial Designs are an arrangement of lines, colors, or any three-dimensional form that have a special appearance and can serve as a pattern for an industrial product or handicraft. Our Patent practice has particular expertise in the registration of designs. We can advise you on design protection and enforcement, including preparation and prosecution of applications for registration. Cesar C. Cruz & Partners understand the importance of every case. We will assist you in enforcing your IP rights in the Patent and Trademark Office, other law enforcement agencies, as well as in the courts. We draw on our well-developed knowledge of our clients and understanding of the Philippine systems, as well as of the law, to produce positive and practical results. We prioritize our communication with you and ensure that you are updated at every stage of the legal process to help you make informed decisions. Recognized by global, multinational and local businesses that value our hands-on, personalized service, Cesar C. Cruz & Partners understand what “doing business in the Philippines” entails. Your success is our success, so we take every effort to listen to you and determine your best options, provide legal mastery to work out optimal solutions, and deliver the results with integrity.